So glad to be finally feeling better. Seriously, I thought the bronchitis was bad enough, but when I developed an upper respiratory infection -- geez! I just couldn't seem to shake that thing. I still have a little cough, but I can totally live with that. Enough about me. 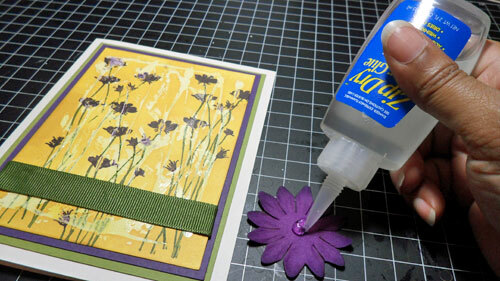 I thought I'd share this tutorial that I created for Scrap 'n Art Magazine. 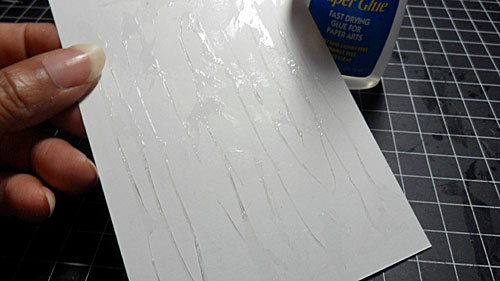 If you enjoy creating unique backgrounds then you'll love this Zip Dry Resist technique. The end results looks like it might be complicated, but it's both easy and fun to do. The hardest part is being patient while the glue dries. 1. 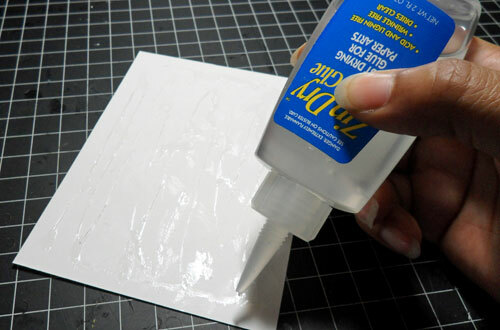 Squeeze Zip Dry up and down one side of white cardstock. Slightly smear the Zip Dry with your finger. 3. 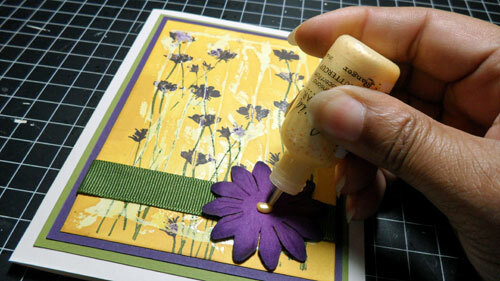 When glue is dry, use blending tool to rub ink (I used Ranger Archival Ink - Saffron) onto white cardstock. 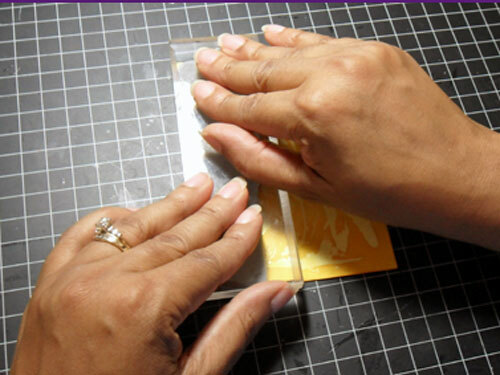 A non-stick craft sheet is helpful for this step, as it makes it easier to blend in circular motions onto the cardstock. 4. 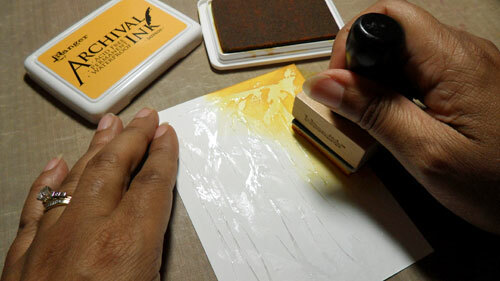 Repeat this step until the card is completely covered with ink. 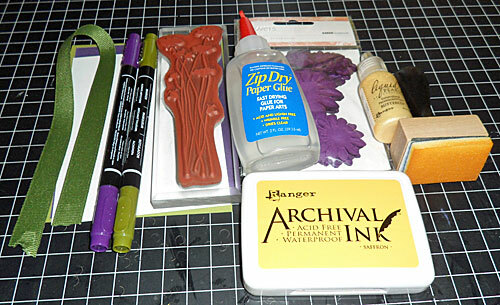 Use a cloth or paper towel to wipe ink from dried Zip Dry. 5. 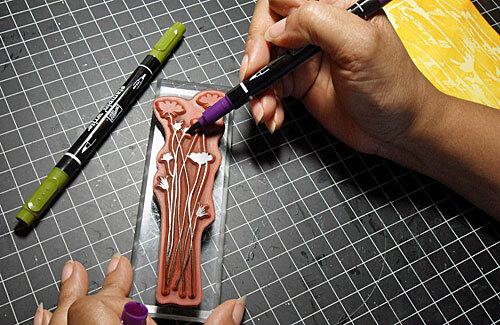 Use pens to apply color to the stamp. 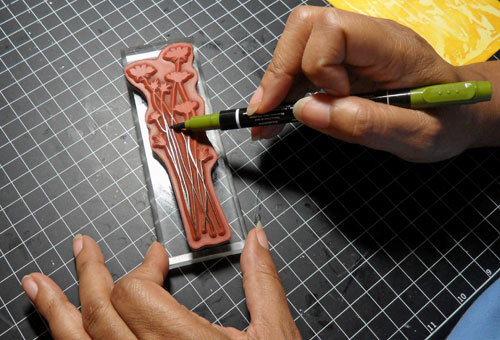 If you are using only one color, then use a stamp pad. 6. 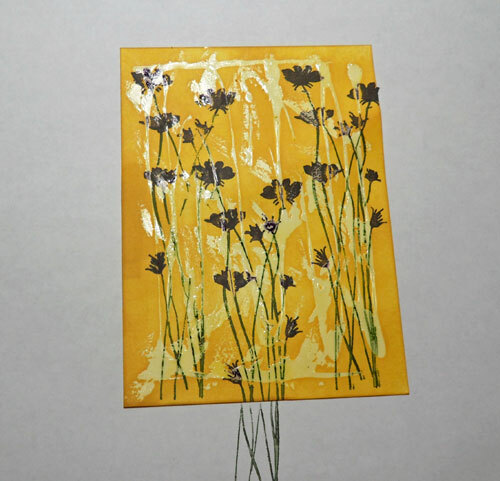 Stamp image onto inked cardstock. 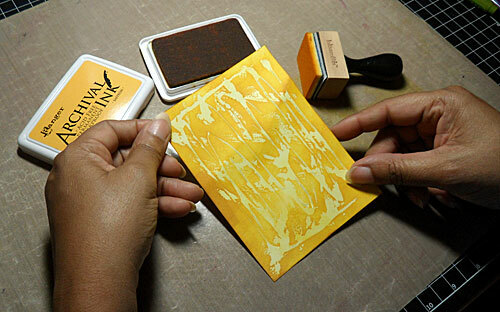 Continue applying color and stamping until desired effect is achieved. 7. 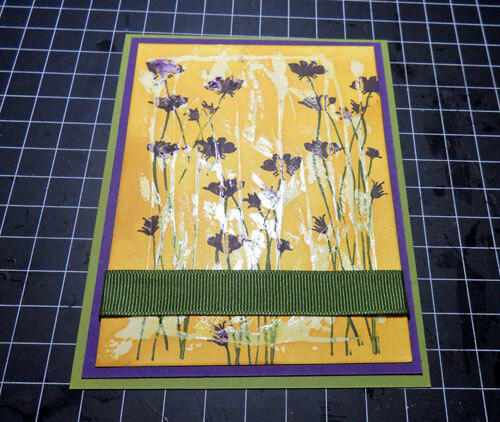 Adhere ribbon to stamped cardstock, then adhere to layered colored cardstocks. 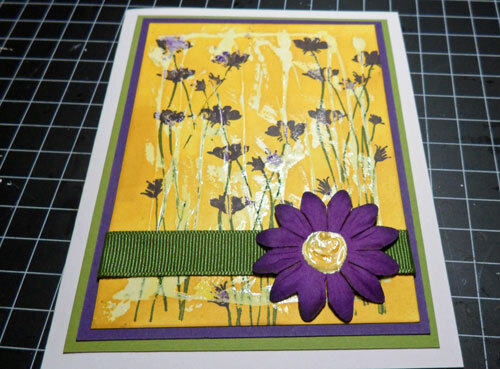 Next adhere layers to card base and and flower to ribbon. 8. Add Liquid Pearls to center of flower.